Inserting a dental implant to replace upper front teeth implies a major challenge in today’s dentistry. Today it is possible to replace natural teeth with artificial teeth in porcelain, which look and work in a highly similar way. However, to achieve this result, the level of detail and accuracy of the procedures are maximum. In the front of the mouth one millimeter is the difference between a successful result and a poor result. 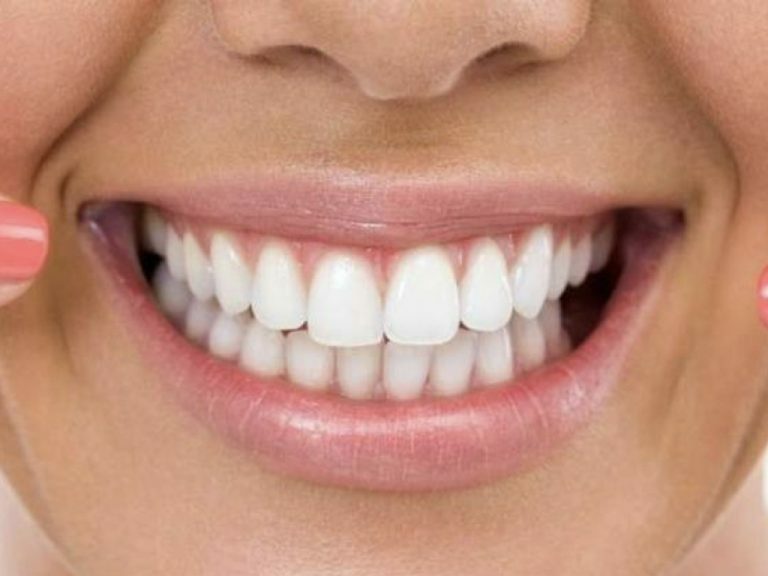 An artificial anterior frontal tooth, you must blend completely both between neighboring teeth and the gum around it, merging into the whole environment of the oral cavity. Therefore, the implementation of a multidisciplinary team between an orthodontist, a periodontist and a prosthodontist is imperative. 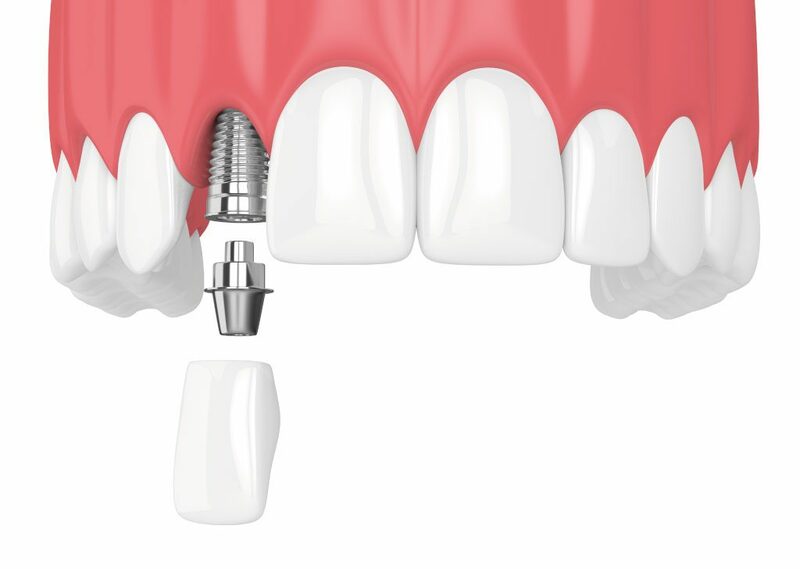 The replacement of an anterior tooth by a crown supported on a dental implant is a procedure of maximum accuracy. When we work on the anterior teeth we speak of two types of esthetics, the pink esthetic and the white esthetic. Pink esthetic is constituted by the quantity and quality of the gum area of the tooth to replace and aesthetics white by the shape and color of the tooth to be replaced. When a natural tooth is extracted, a reabsorption of the bone or alveolar ridge occurs, which generates a decrease in the amount of gum necessary for an ideal pink esthetic. In cases where reabsorption exceeds minimum amount of gum levels, this should be regenerated before placing the dental implant. In this sense, the orthodontist specializing in the movement of teeth by mechanical means plays an important role. The soft tissue or gum always accompanies the teeth and their roots therefore it is possible to manipulate the position of the gum by the orthodontic movement of a tooth. Thus, in cases where we have to extract a tooth and the gum residue in the post – extractive zone is insufficient to guarantee the rosy aesthetics of the future crown in porcelain, the orthodontist can perform a forced orthodontic eruption of the root before the extraction of the same and thus guarantee quantity and quality of gum in the area of the future implant. This is a procedure that has its indications and special conditions and is performed by a specialist in orthodontics in about 6 months and that with proper training and skill generates a significant difference in the outturn aesthetic of the final reconstruction of the tooth. After having increased the amount of gum before extracting the tooth, the periodontist must extract the tooth root. This is a procedure that must be a traumatic; fully preserving the gingiva is important in the final result of the pink esthetics. Sometimes this procedure that may seem simple may be the difference in the final aesthetic result of the case, a millimeter is a kilometer when we work in the front of the mouth. After extraction of the root of the tooth and under special conditions of amount of bone remaining from the dental socket (bone niche left by the root after being extracted), the periodontist in conjunction with the prosthodontist can surgically insert the implant at the site where was the root . This surgery must be exact and thorough because the white esthetic of the future artificial crown depends largely on the location of the implant in the three axes of the space. The three-dimensional location of a dental implant from the anterior area of the mouth is one of the most important requirements to achieve the aesthetic success of the final restoration. Usually, after the insertion of a postexodontic implant (implant inserted immediately after extracting the root of the tooth), an immediate provisional crown is made on the implant. It has been found that this temporary crown adequately preserves the shape of the gum what generates an advantage in the pink aesthetics of the patient’s final crown. This temporary crown is preferably screwed directly onto the implant and is manufactured by the prosthodontist using special attachments. In other times, the amount of gum and therefore bone left after the extraction of the root is not enough or the gingival health conditions of the area are not ideal, then it is necessary to perform a bone grafting procedure to increase or preserve the amount of bone of the site and in a subsequent procedure place a dental implant. This procedure of bone grafting is called regeneration bone or guided tissue, and consists of increasing the thickness and height of the bone or alveolar ridge by means of particulate bone or in block, of animal, artificial or human origin applied on the bone defect left after the extraction of the root, which is covered by a special collagen membrane or material which preserves the whole graft during the healing of tissues. This is a procedure that has its indications and special conditions and is performed by a specialist in periodontics and that with proper training and skill generates a significant difference in the result of the final aesthetic tooth reconstruction. In the case of regeneration Bone is necessary to wait a minimum of 6 months before placing the implant. After having inserted the dental implant and a minimum healing of 3 months with a temporary screwed crown, the final crown in porcelain is manufactured by the prosthodontist and his dental laboratory. This is a procedure that includes several stages and also of great demand and precision. Ideally, the prosthodontist along with his laboratory should fabricate a customized prosthetic abutment for the patient’s tooth on which the final crown will be cemented. Currently the best way to do this, is using CAD CAM computer technology and ideally and it must be manufactured entirely in porcelain specifically in Zirconia. The Zirconia avoids the gray metallic color in the gum that would produce a deterioration of the pink aesthetic that we have so much looked after and improved. Additionally, the zirconia is strong enough to withstand the forces of chewing and the subsequent crown. From the biological point of view the Zirconia is biocompatible with the gum tissues and their surroundings. This crown completes the stage of white esthetics. 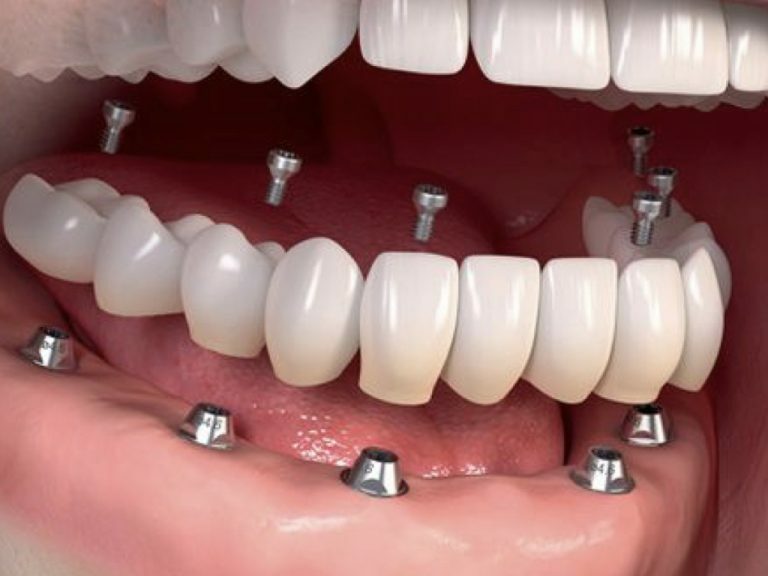 If all these processes are fulfilled, the final result of an implant-supported crown will be satisfactory both from an aesthetic and biological point of view. In conclusion, it requires great specificity and meticulousness in each of the stages of reconstruction, the difference between the success or failure of a crown are small details in the process. All the above, justifies the action of a team of specialists in orthodontics, periodontics and prosthodontics called multidisciplinary team that guarantees the accuracy in each of the phases of the restoration of a single implant of the previous sector. Current dentistry and our patients deserve that level of care and clinical outcome.